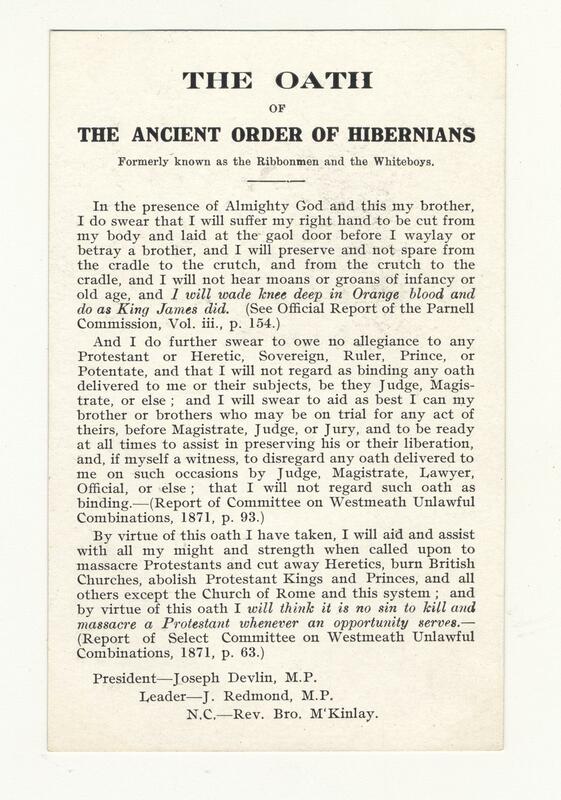 Postcard featuring 'The Oath of the Ancient Order of Hibernians,' Formerly known as the Ribbonmen and the Whiteboys. President Joseph Devlin, Leader J. Redmond. The card quotes from the government reports on agrarian outrages in the 19th century to suggest that the AOH, with its leader Joseph Devlin MP, like its alleged predecessors, ‘will wade knee deep in Orange blood’. Reverse side blank.